To understand the basic and advanced principles of Clinical Optometry. To do a thorough comprehensive eye examination. To be familiar with basic and advanced diagnostic procedures in Optometry. To be a competent Optometry Professional with exposure to multi-lingual, multi-cultural clinical environment and ability to handle different types of patients. Eligibility Degree in Optometry/Diploma in Optometry with minimum 2 years of work experience. Method of study Full time Regular Rotational Clinical postings in various departments of SNK branches. Hands on practical training in a tertiary Ophthalmic set-up. Fill in the details along with photocopies of Provisional / Degree Certificate. Application form to be accompanied by a DD for Rs.1,000/- payable to Medical Research Foundation, Chennai. Candidates will be called for a written test, skill test and personal interview during first week of June. 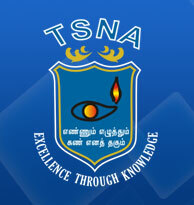 Selected candidates list will be uploaded in TSNA website on or before 10th June. Course will commence from first week of July. Selected candidates should pay the tuition fee of Rs. 50,000/- on or before 15th June. Last date for submitting filled in forms 30th May. International students kindly check with Program In-charge before making any online payment.